VIRGINIA CITY, Nev. – A dream 20 years in the making takes form at the Storey County Youth and Community Resource Center as Community Chest, Inc., in collaboration with an army of donors and volunteers, breaks ground of Phase 2 of the Center at 175 East Carson Street in Virginia City Thursday, May 25, at 4 p.m.
Community Chest, Inc. was founded in 1991 with the vision to build the center. Storey County donated the land, and Phase 1 was completed over three years ago. The additional building space will provide a permanent home to the Virginia City library and tech center, along with youth programs, performing arts, healthcare resources and public meeting area. 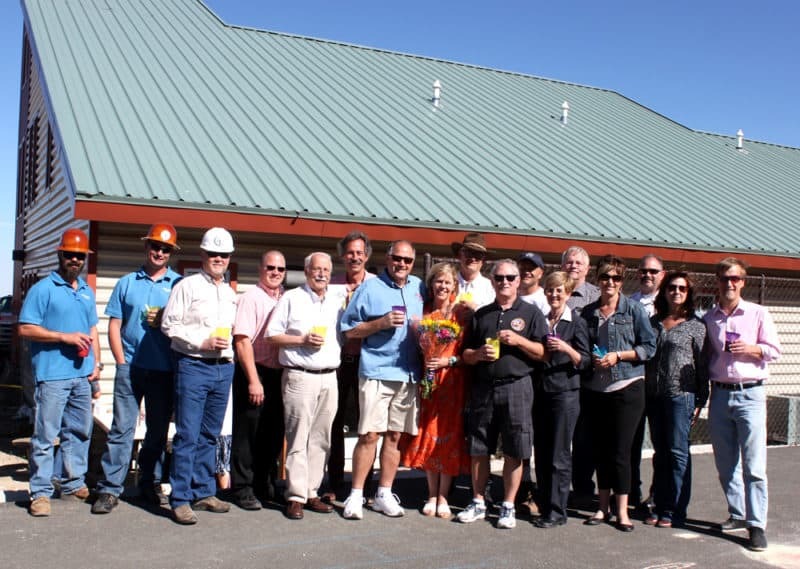 WHAT: Groundbreaking celebration for the Storey County Youth and Community Resource Center with root beer float party. WHO: Shaun Griffin, executive director for Community Chest, Inc., builders and stakeholders for the project will be on hand for interviews, including Mark Beauchamp, co-founder of general contractor Shaheen Beauchamp Builders, Darrin Berger of Berger Hannafin Architects, and community dignitaries and members. WHEN: Thursday, May 25, at 4 p.m.
WHERE: Storey County Youth and Community Resource Center, 175 E. Carson Street, Virginia City. Media Parking: Media are asked to park in the parking lot adjacent to the pool. Community Chest fundraisers, along with major donors including the William N. Pennington Foundation, Barrick Gold Corp., Terry Lee Wells Foundation, Neil J. Redfield Foundation, Thomas and Thelma Hart Foundation, E.L. Cord Foundation, Marie Crowley Foundation, NV Energy Foundation, Steven Nightingale and the Robert Z. Hawkins Foundation, provided funding for the project. Griffin said Community Chest, Inc. works across the state of Nevada to build resources to raise all boats, primarily in Lyon, Mineral, Storey and northern Nye Counties, helping other coalitions including mental and public health, food scarcity and transportation in those communities. Griffin said the center brings much needed resources to Storey County. General contractor on the project is Shaheen Beauchamp Builders LLC. Architect is Berger Hannafin. Photo cutline: Artist’s rendering of the Storey County Youth and Community Resource Center addition. Groundbreaking celebration for Phase 2 of the project, complete with community root beer float party, takes place Thursday, May 25 at 4 p.m.
About Shaheen Beauchamp Builders, LLC: Shaheen Beauchamp Builders, LLC, a commercial general contracting firm founded in 1998 by Jeff Shaheen and Mark Beauchamp, has built over 1 million square feet of industrial, office and retail space throughout Northern Nevada. Located in Carson City, NV, Shaheen Beauchamp Builders offers renovation, remodeling and new construction services and prides itself on astute attention to detail and customer satisfaction. Notable projects of the company include the renovation of 777 Center Street in Midtown Reno, Carson City Animal Services, Carson Medical Group Obstetrics and Gynecology and Pediatric Clinics and the Click Bond campus in Carson City. For more information, visit www.sbbuilders.com or call (775) 885-2294.